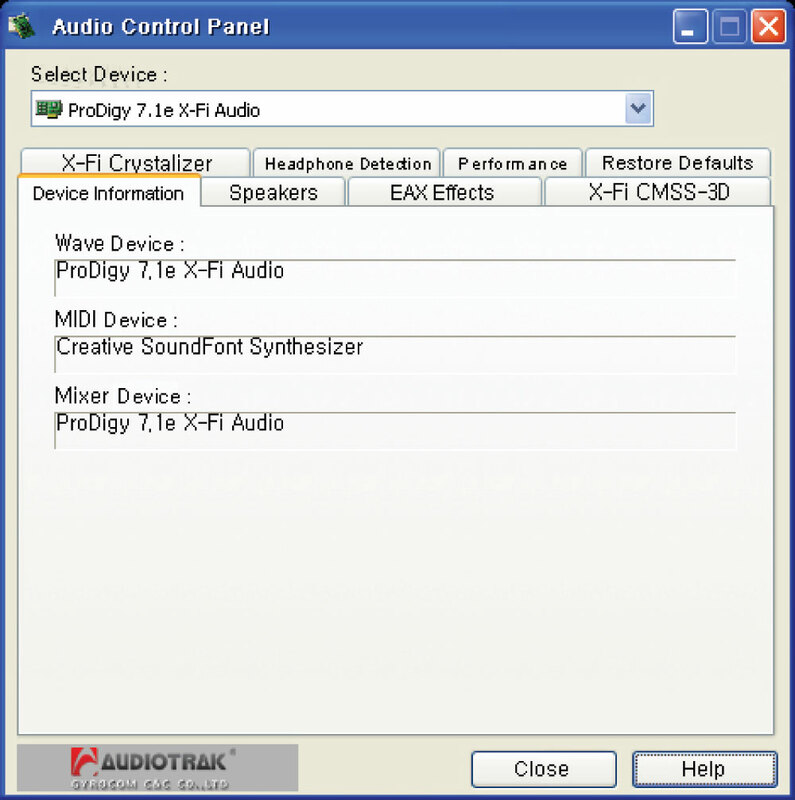 PRODIGY 7.1e X-Fi Audio is based on AUDIOTRAK’s own technology boasting of its best quality sound and is optimized to audio/multimedia environment with Creative’s X-Fi chip adopted. PRODIGY 7.1e X-Fi Audio is PCI-Express type having more stable and higher bandwidth than usual PCI-type, has high performance D/A converter supporting 24bit / 96㎑, 112㏈ of dynamic-range, and boasts stable circuit design and built-in high quality condenser for the best quality sound. 7.1 channel surround output and Creative’s EAX 3D functions are the best for the home-theater and computer game. Multimedia functions like headphone amplifier, digital input and output, mic/Line input are independently applied for the best computer sound environment for music / movies, and games. 7.1 channel, 24bit/96㎑ supporting AKM’s high performance D/A converter, AKM4358 is adopted for realizing 112㏈ dynamic-range. High quality condenser and circuit design for Hi-Fi sound achieve the best quality sound. Creative’s X-Fi chipset having excellent performance in playing games realizing 3D sound environment. PCI-Express type provides more stable and higher bandwidth than usual PCI-type. Separate built-in headphone amplifier processes up to 300 Ω impedance and provides excellent driving force and high resolution even in use of high impedance headphone. PRODIGY 7.1e X-Fi Audio supports up to 7.1 channel analog output and output channel expansion of stereo source for more various sound environments. TI’s high performance OPAMP OPA2134 is set on both Headphone-Out and Front-Out. OPAMP is exchangeable to change sound type for user’s taste in sound. Optical-type digital in/output supports up to 24bit/96㎑ of resolution, PCM type digital output, and AC3/DTS PassThrough for connection with external D/A converter or decoder or receiver. System requirement is crucial to take full advantage of high quality sound and multimedia features provided by PRODIGY 7.1e X-FI Audio. You are strongly encouraged to meet reco㎜ended system requirement for maximum performance. ① Mic/Line-In : Connects a mic/ external source device, TV receiver card, and etc. ② Headphone-Out : Connects a headphone or earphone. ③ Front-Out : Connects a front speaker. ④ Back Surround : Connects a back surround speaker. ⑤ Center/Woofer-Out : Connects a center/woofer speaker. 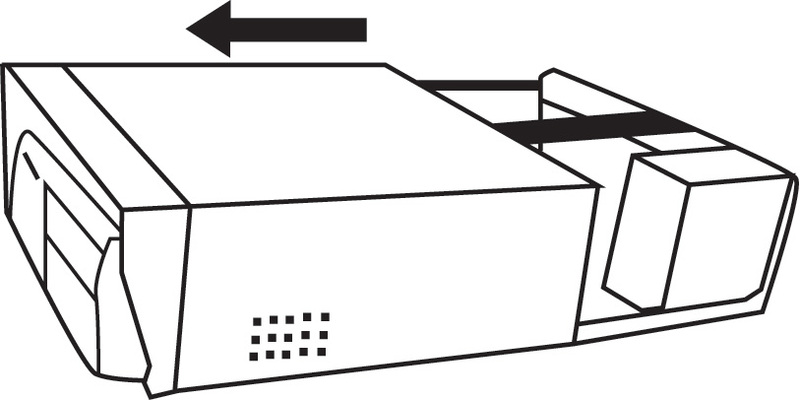 ⑥ Rear-Out : Connects a rear speaker. ⑦ Digital(optical)-Out (angular) : Connects a built-in speaker or receiver amplifier. ⑧ Digital(optical)-In (angular) : Connects digital output from a source device like a CDP. ⑩ S/PDIF OUT : Coaxial output jack for internal connection with HDMI supporting graphic card or expansion connection for case front bay. ● Avoid directly facing a beam lit from the Optical-Out connected with an optical cable for preventing damage to vision. ● FP_Audio(Front Panel Audio – front panel audio) jack is only for an HD Audio connector and is not compatible with an AC’97 connector. Therefore, when connecting the cable connector with the computer front panel, users must check if the cable connector is HD Audio. If users wrongly connect the AC’97 connector to the computer front panel, severe damage to the system as well as the sound card may occur. 1) The Sound card is wrapped with static electricity prevention plastic. You had better not unwrap the Sound Card before installing it on your computer for preventing any damage. 3) Remove the computer case from the computer. Check one vacant PCI-Express 1x slot located on the motherboard of your computer for installation of the Sound card. 5) Hold the Sound card by an edge and a guide part which is a place for securing the Sound card to the computer case with screw. You had better not touch the parts inside the edge of the Sound card. 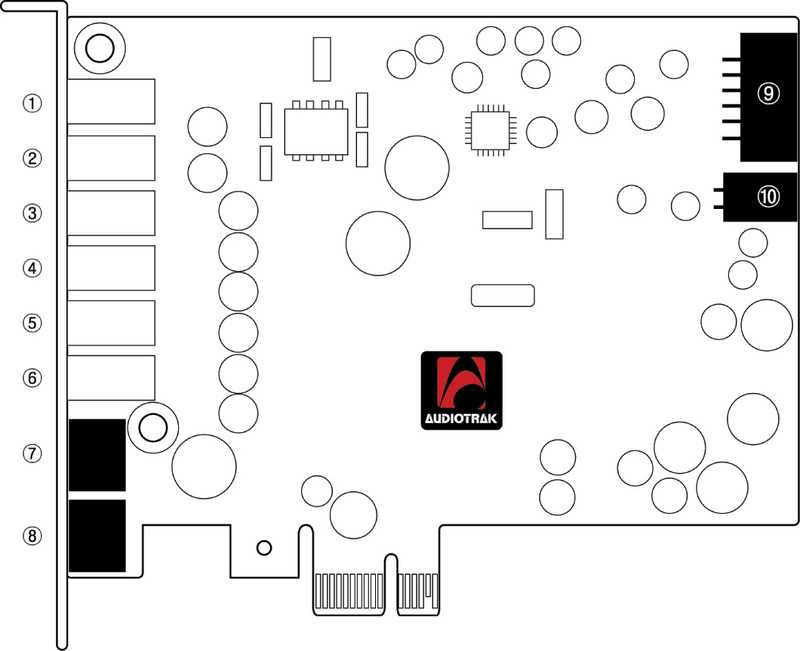 Remove the computer case, and acco㎜odate the sound card to an empty PCI-Express 1x slot on the motherboard. 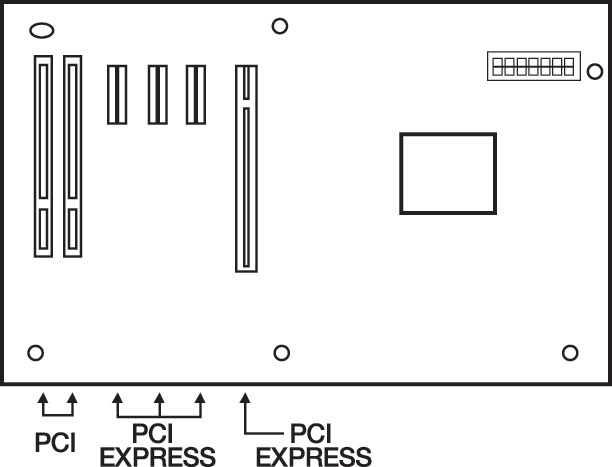 PCI-Express 1x slot is white and the shortest one. So, it easily recognized from other general slots or PCI-Express 16x slot for graphic card due to great differences in length and shapes. Locate a PCI-Express 1x slot, and remove the empty guide from the computer case. Insert the sound card in the PCI-Express 1x slot. Slowly press the sound card after exactly aligning the bottom and the guide part of the sound card with the slot. Check if the sound card fits snugly into the PCI-Express 1x slot, and then secure the guide part and computer case with screws. ※ Caution : Acco㎜odate the sound card on the PCI-Express 1x slot, and check if the sound card fits right on the slot. If the sound card is wrongly acco㎜odated to the PCI slot, then the power is on, severe damage to system including the sound card may occur. After completing the installation of the sound card, place the computer case back on the computer, and reconnect the power plug. The sound devices are generally embedded in the most of latest motherboard and are considerably inferior to the sound card purchased. Newly installed sound card occasionally conflicts with on-board sound devices. Please refer to below for setting the sound devices as “Disable”. 3) Set Onboard Sound, HD Audio, AC’97 Audio as Disable. Press Esc. Then Save & Exit appears. Press the Save & Exit to complete the setting. Unless motherboard chipset driver, windows update, and service pack are properly installed, error or continuous noise may occur during driver installation of the PCI sound card. Therefore, if the operating system is newly installed, windows update and service pack as well as motherboard chipset patch driver included in the installation CD bundled with motherboard should be applied prior to installation of the sound card. If you think you don’t know well enough about your motherboard chipset, please consult with manufacturer of your motherboard. 3) After restarting your computer, the control panel icon is created on right side of the taskbar. Also the control panel program is registered on start program menu. Click the control panel icon on the taskbar, and then control panel appears on the screen. You may set Entertainment Console, Audio Control Panel, Karaoke Player, and so forth. PRODIGY 7.1e X-Fi Audio is optimized to movie soundtrack and music playback, and basically the control panel provides functions as follows. It can set output of sound according to the speaker system in use, and optimize separate headphone output. 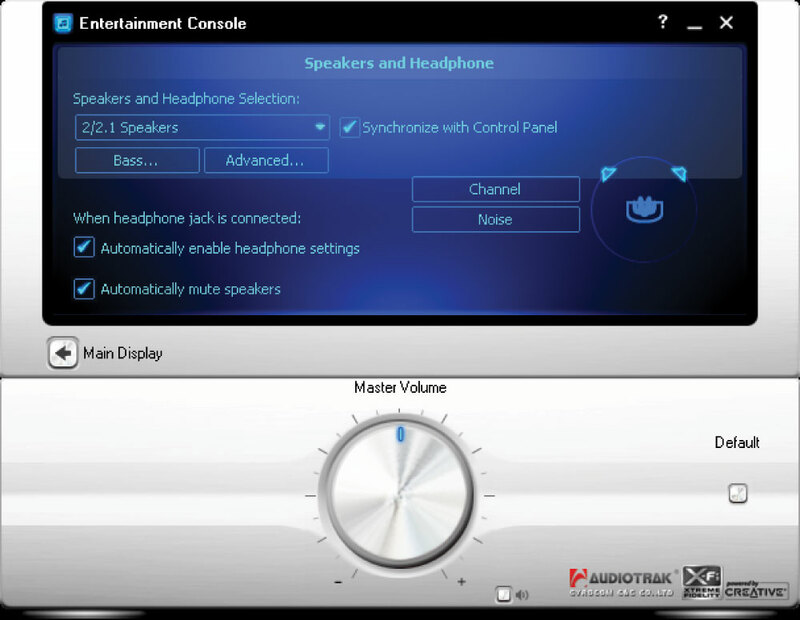 Also, it can execute each channel test and noise test, and set low volume level control and left/right volume level in Advanced Configuration. 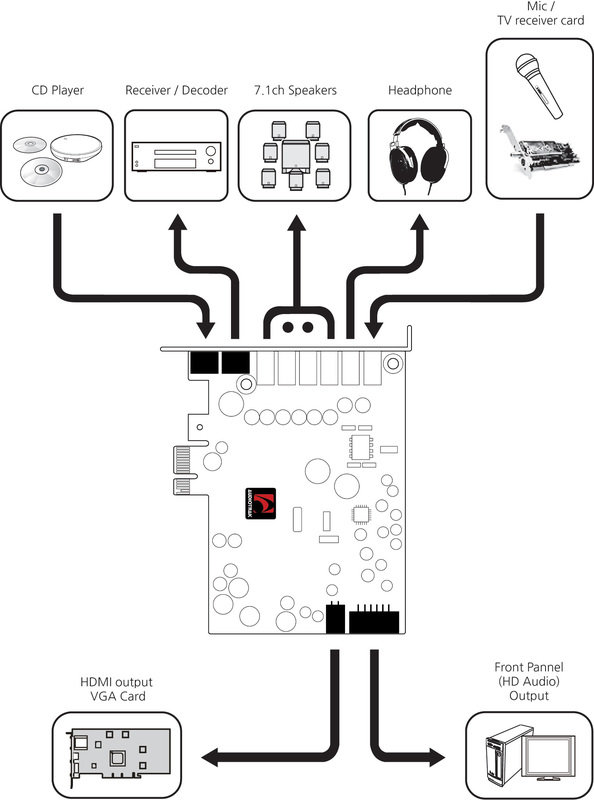 In use of FP_Audio, headphone auto-sensing function stops output of the sound card. Basically, 8 sound field effects are provided to realize each sound spatial sense. Level control of the sound field effect can satisfy user’s taste in sound. CMSS-3D provides virtual expansion of output from a more than 2 channel speaker to a 7.1 channel speaker. Also, in use of headphone, it provides 3D sound effect for more realistic and effective sound. X-Fi Crystallizer provides dynamic and more clear and rich sound by restoring parts of the sound removed during generation or compression of the sound. EQ provides a sound compensation function to adjust frequency band in the range of 31㎐ ~ 16㎑, and provides a storage function of 10 prepared preset items and additional user’s configurations. Mixer provides recording/playback setting and volume setting. ※ Audio Contents tap in the Mixer setting screen indicates computer internal sound. Playback of the computer internal sound is recordable using a recording program. ※ Monitoring input signals is in default. Recording computer internal sound is not supported. There is a plug auto-sensing function in Windows Vista. It shows connection status of each connector like pictures below. Playback quality can be set as 48/96㎑ or 16/24bit in accordance with computer system environment and audio quality. ※ Playback quality can be set as 44.1 / 48 / 96㎑ or 16 / 24bit at Audio Device Properties in Windows Vista. Audio Control Panel Configuration screen is supposed to be shown by clicking Control Panel, then Audio Control Panel. Basically, the same configurations in Entertainment Consol can be also applied to the Audio Control Panel Configuration. 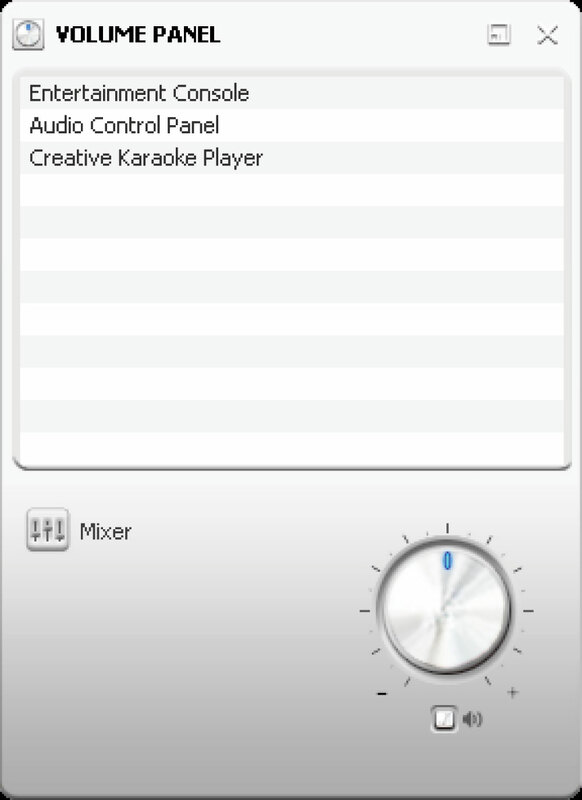 Karaoke Player screen is supposed to be shown by clicking Control Panel, then Creative Karaoke Player. It contains functions such as Mute of Playback, Tempo Control, and Microphone Effect. ※ Mic monitoring is deactivated in default in Windows XP, but can be activated with software by executing Creative Karaoke Player. ※ Functions like Mic Effect and Mic Volume Control are not supported in Windows Vista. Creative Alchemy control panel is an application for Windows Vista provided to use EAX function through OpenAL. The EAX function is not usable in default in Windows Vista because DirectSound 3D is limited in Windows Vista. Start Program → Execute Creative Alchemy in Creative folder to open a window as follows. 1. Automatically, it shows a list of games installed in the computer. 2. Select a game to play then click an arrow, and the game would be shown on Alchemy usable game list. 3. 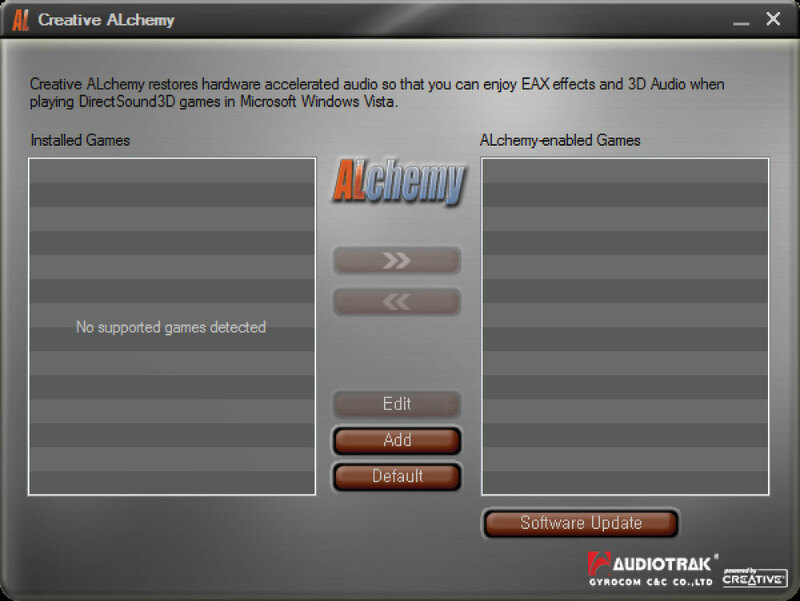 After the game is added to the Alchemy usable game list and the application is completed, users can execute the game and enjoy EAX-applied sound in the game. ※ Changes in Alchemy usable game list would be preserved even after restarting. ● Edit : Is a button for detailed configuration of a game (game folder location change, buffer change, voice number change). ● Add : Adds a game that is not automatically detected. ● Default : Initializes all of the configurations of ALchemy software. ● Software Update : Updates ALchemy software with the latest version. Included in the PRODIGY 7.1e X-Fi Audio are the Front output and the OPA2134 OPAMP of TI(Texas Instruments), the OPAMP is a socket-type and is replaceable so that a user can enjoy user's own sound taste by replacing the OPAMP with another. Q : How Can I Remove Driver...? A : If an error occurs during installation of the driver or the driver should be removed for installation of another sound card, users can remove the driver by executing Setup.exe file in the installation CD or by clicking Uninstall in Control Panel -> Program Add/Remove. Q : What If the Computer Do Not Recognize the Device...? A : Your computer may not recognize the sound card that doesn’t fit snugly in the PCI-E slot. In this case, reinstall the sound card. If PCI-E slot in the motherboard is defective, try to install the sound card on another PCI-E slot. Gold-striped tabs of old sound card used in dusty or humid environment for a long time may be corroded. In this case, scrub the gold-striped tabs clearly with an eraser or clean it up with an alcohol-absorbed swab. Q : What If the Computer Is Down During Driver Installation...? A : The driver may conflict with other hardware devices so that the computer gets down during driver installation. Check if there is an on-board sound device on the motherboard CMOS Setup, if so, deactivate the embedded sound device. After that, if you still experience the problem, reinstall the sound card on another PCI-E slot. If still abnormal, remove the existing PCI slot or USB Port devices to perform inspection and consult with service center. Q. How Can I Expand 2 channel to 5.1 channel …? A : Check 5.1 Speaker in Entertainment Consol, activate CMSS-3D, and then set Stereo Expansion. Q. What if 5.1 channel speaker sounds do not separate during playback of a movie …? A : To separate the sound of the 5.1 channel speaker, check 5.1 Channel Speaker in Entertainment Consol and set Audio Device Output Channel as 5.1 Channel Speaker in Configuration of a movie player program. And some movie players may need codec setting like an AC3 filter and etc. Q. What if there is 5.1 or 7.1 speaker expansion output during playback of music …? 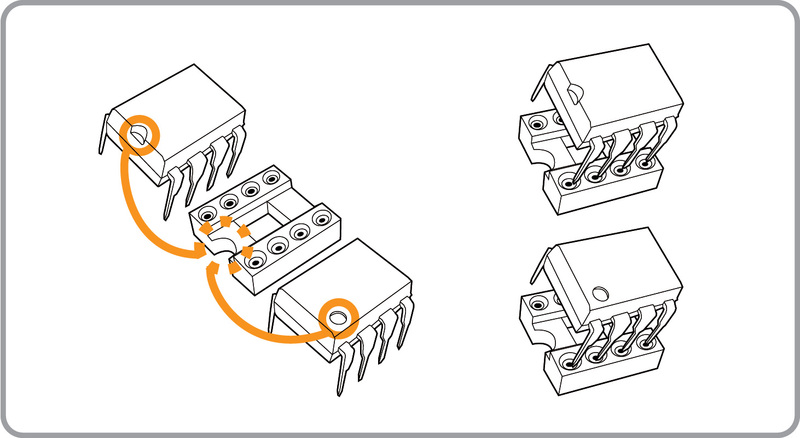 A : If CMSS-3D in Channel Expansion Function is activated, 5.1 or 7.1 channel expansion output may occur. Deactivate CMSS-3D for normal stereo output. Q : I’m using a decoder built-in 5.1 channel speaker. Is 5.1 channel supported with optical output for playback of DVD or AC3/DTS 5.1 channel movie...? A : 5.1 channel is supported for playbacks of Dolby Digital and DTS-format 5.1 channel movies as well as DVD through digital output setting in movie player programs. Set the movie player as a digital output device and sample rate as 48㎑. Select S/PDIF Output or Use External Decoder for output of the movie player program. In some cases, codec setting like an AC3 filter may be required, and in Windows Vista, check Dolby Digital, DTS file types in Audio Device Properties. Q: When Audio CD Is Played...? A : For playback of audio CD using CD-ROM drive, there are tow methods of it. One is using analog-out terminal of the CD-ROM drive, and the other is transferring digital data through data cable connected to motherboard. When audio cable(4 pins) is connected to the analog terminal in the rear of the CD-ROM for analog output from the CD-ROM in the past, sound quality outputted from the CD-ROM lowers due to very low quality DAC chip in the CD-ROM. Also, audio connection cable is required and it’s troublesome to connect it to inside of the computer. Otherwise, in CDDA mode which is digital CD output type, audio cable connection is not required between CD-ROM and the sound card, instead, you may experience stunning sound by using wave output of the sound card through data cable as digital-transferred. Control Panel → System → Hardware → Device Manager, in which double-click the DVD/CD-ROM drive and then press Property. If 'Use digital audio in the CD-ROM' is checked as Default, the sound card outputs as wave by reading the music CD as data. If checked above and sound is outputted unstable, transfer mode of the CD-ROM is must be set as low. Please change the transfer mode. See next question for changing the mode. Q: What If Cut-Off of Sound or Noise Occur During Playback of Audio CD or DVD Title...? A : If data transfer mode of CD-ROM is not properly set, various problems such as noise generation, cut-off of sound, and low speed of system. Please, check below. IDE controller uses PIO(Progra㎜ed Input/Output) mode and DMA(Direct Memory Access) mode as a transfer type. In the existing PIO mode, data is transferred from memory through CPU to the drive, but in DMA mode, the data is transferred through DMA channel directly to the drive so that transfer speed is faster and occupancy of CPU is considerably lowered. Also, interrupt for input/output is reduced for multi-tasking and fast operation. You are strongly encouraged to set DMA mode. DMA mode is activated in Windows XP/2003/Vista as default, but for old version of Windows such as Windows 2000, go to Control Panel → System → Hardware → Device Manager and activate the DMA mode as follows. If Intel Application Accelerator is patched in a motherboard using intel chipset, DMA mode is automatically set as default, but if other chipset is used, please check it out. The cable connecting the motherboard and the CD-ROM is 40 pin-cable(less than DMA33 mode), but if 80 pin-cable(for connecting with DMA66/100/133 HDD) is used, troubles may occur. 1. Turn down windows and speaker volume. First, turn down windows basic mixer volume, and then control volume of the sound card for inhibiting excessive output. This is the most frequently occurred trouble in case that the sound card conflicts with the embedded sound device or IRQ-shares with the graphic card and LAN card. Abnormal acceleration of some of the graphic card may cause increase in PCI but occupancy or abnormality. The driver of the graphic card should be replaced with regular driver and if the over-clock is applied cancel the over-clock for troubleshooting. The rest devices except sound device may cause noise. Especially, the graphic card and LAN card causes most of the troubles, please perform slot replacement and device inspection for the graphic card and LAN card. Devices mounted in the computer are operated together in an operating system. If the motherboard chipset or optimized drivers of each device in the computer are not properly patched, errors of data transfer and the devices occur. Check existing motherboard chipset to patch the chipset, and upgrade installed devices as latest driver. And, update motherboard ROM BIOS as latest version. If data transfer mode between the hard disk and CD-ROM is not properly set or the hard disk data cable is wrongly connected, it may cause various noises, errors, and latency of the system. Data transfer between hard disks having different transfer speed may cause noise generation or cut-off of playback of large file like movies. At this time, copy the file to the hard disk where the operating system is installed, and then play the file. 5. Check ground of the computer. Occasionally, current from power supply flows in the computer case due to improper ground and is felt by hand. Check the installation between the computer case and the motherboard or status of power supply. For preventing or minimizing noise which may cause damage of parts of the computer, connect electric wire between metal surface of the computer case and pipes for water or gas, metal desk, or bottom. The computer is strongly encouraged to be connected through extension code having ground, or to be directly connected to wall outlet. If the power supply terminal is used with lighting or the same power supply terminal is used for computer and the lighting due to wrong electric wiring in the building, noise may be generated by flickering of the lighting. At this time, use other power supply terminal. For example, HIFI device uses stable power supply through shielding transformer for preventing sound distortion and noise problems.